When people in China learn about Parkinson’s, they are willing to help – but there is very little basic education on how to manage the condition effectively. 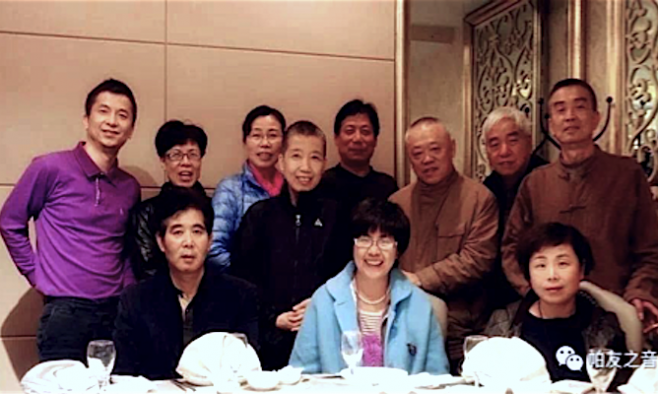 Parkinson’s activity in Hangzhou City started in 2011, when activists who campaigned in other parts of China began to network locally, coming together to stand up to the condition. The largest Parkinson’s organisation here has around 3,000 members – mainly people with Parkinson’s, medical experts and healthcare professionals. The main aim of the organisation is to enrich the lives of those living with the condition, through the teaching of important skills and organising social events. One of the biggest Parkinson’s events in Hangzhou City occurred on World Parkinson’s Day 2017. The celebration, which attracted over 300 delegates from across the country, consisted of a welcoming dinner, patient-expert sessions and a play performed by both professional actors and people with Parkinson’s. The event showed the collective strength of the Parkinson’s groups here in Hangzhou, uniting the community as we stood up to the disease. The biggest challenge we face in China is that there are simply not enough doctors with sufficient Parkinson’s experience. This leads to doctors having too many patients, which dilutes the care they can provide to each individual. 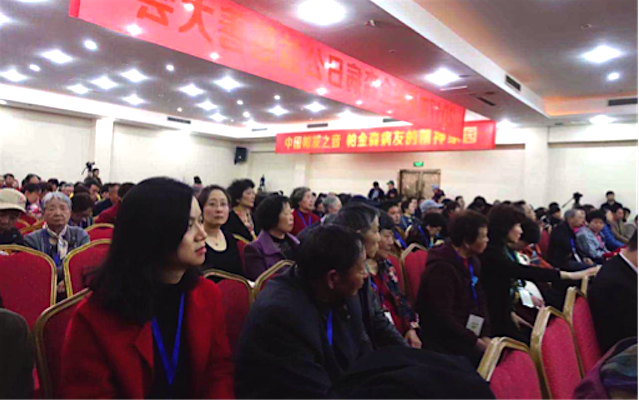 Members of the Parkinson’s community in China also experience difficulties because many treatments are not covered under national health insurance. This means many are unable to afford important Parkinson’s medication, and there is currently no legislation to support those with Parkinson’s. Another problem in China is a lack of Parkinson’s awareness, which in turn leads to a shortage in funding and legislation. When people in China learn about Parkinson’s, they are willing to help, but there is little basic education on how to manage the condition effectively. To combat this problem, I tasked a team of writers with publishing a book telling the stories of the Parkinson’s community in the Hangzhou region. This book is the first of its kind in China, and will hopefully lead to a better understanding of Parkinson’s amongst the general public. I am currently establishing an initiative dedicated to supporting those with Parkinson’s who require assistance from care workers. The basic principle is to encourage mutual help between those with Parkinson’s who live together within an existing care centre. The appointed group leaders will organise social events and community activities, and the groups will be supported with visits from physical therapists, psychologists and nutritional experts. I am always looking for partners and sponsors to assist my work in Hangzhou. At the moment Parkinson’s groups in the region have worked on joint projects with well-known Chinese companies and the UK healthcare manufacturer Medtronic. I believe collaboration is the key to best supporting the Parkinson’s community, both here in China and across the globe.